A number of successful businesses have chosen to work closely with us as sponsors. Take a look at some of the case studies below. Discovery Tickets offer people aged 16-26 £10 tickets to fantastic shows. Caxtons saw that this project was a perfect fit for their brand, and presented a unique way to show their commitment to working with young people in Canterbury. "Caxtons is a Business Member of The Marlowe and in addition committed to a major 3-year partnership deal as sponsors of Discovery Tickets. Caxtons is committed to supporting The Marlowe, not only because we have some common aims but also because our working relationship enables us to accomplish aspirations that would otherwise be impossible to fulfil." The Caxtons Discovery sponsorship means that everyone buying a Discovery ticket receives a Caxtons Student Lettings flyer, and Caxtons features Discovery on their radio and bus-back advertising campaigns. We see it as a great example of how business can work with the theatre in creative partnership. Luxury holidays to giveaway to our audiences and supporters? Don’t mind if we do! Kuoni works with us to align their brand and their lounger- inducing holiday imagery to The Marlowe’s 400,000 audience-members. 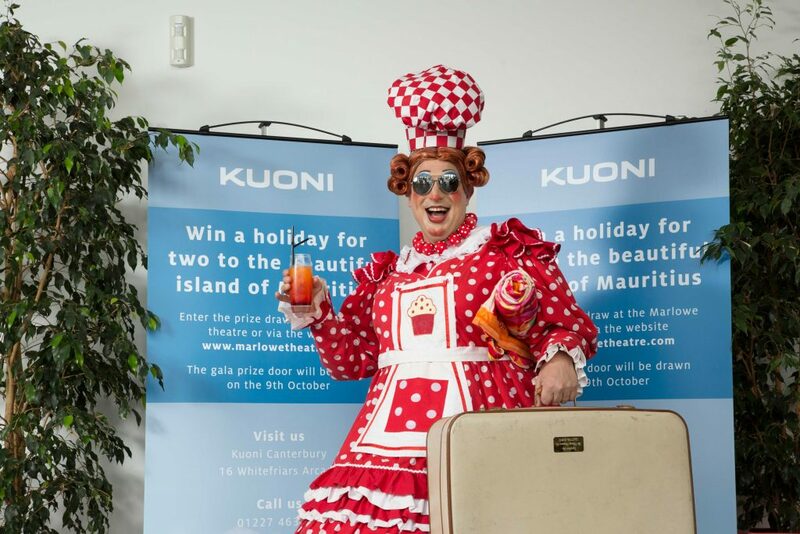 Kuoni’s sponsorship offers us a breath-taking holiday each year as a prize with which to generate income for the theatre. We value this relationship as an interesting way for business to reach our audience creatively and generously, offering a great package in return. Pantomime star, Ben Roddy, gets in the holiday spirit. In year one, 2016, we worked together on The Marlowe’s first audience Prize Draw to celebrate our 5th birthday. £6000 was generated for our Creative Opportunities Fund and lucky winner, Steve Carr, jetted off to Mauritius with his wife and had the most beautiful holiday. In 2017, Kuoni is giving The Marlowe a holiday to Bali which will be auctioned at our autumn fundraising event. When Lipscomb told us they were interested in new ways to support the theatre and attract new customers to their vehicle brands, we were excited to see if we could match our audiences to their cars. Their sponsorship of Comedy in The Studio 2014 promoted a different car each show, ensuring Kent comedy-lovers get to see Lipscomb supporting the arts and get a good look at a variety of their models displayed on the theatre forecourt. Infamous as the Volvo people in Kent, Lipscomb wanted to be clear the brand is still a great safe choice for families, but to work with us to promote its more ‘hip and creative’ side and to show off the stylish range to our family audiences. The week-long Canterbury Children’s Festival 2014 was the perfect choice, attracting over 5000 children and their adults to shows and events. 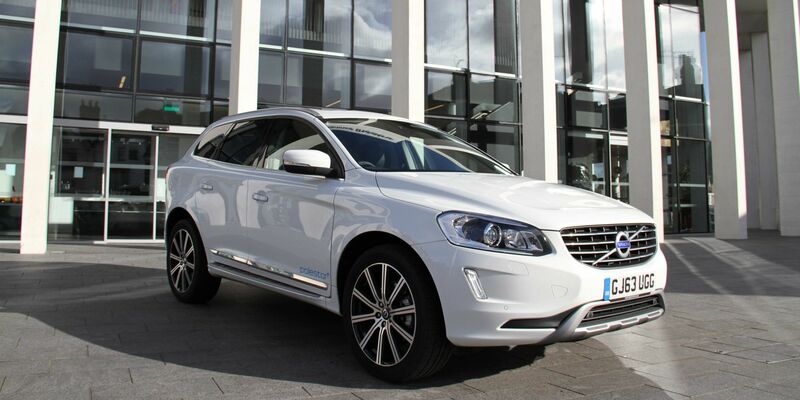 "When The Marlowe announced the 2015 pantomime as Snow White And The Seven Dwarfs, our teams could not resist the chance it gave us to promote the new 7-seater XC90. Lipscomb Volvo became the first ever panto sponsor at The Marlowe and it worked so well we’ve done it every year since!" Panto sponsorship offers a year-round brand association, including leaflets inserted with all pantomime tickets, acknowledgement printed on tickets and logos on all materials including our foyer screens. During the six week panto run, sponsors can benefit from product placement on our forecourt, attracting the attention of the 95000 audience-members, and some great fun with hospitality events. Not to mention the shout-out from the stage every performance. Working with the Port of Dover was an idea which struck a chord with both our organisations and presented a number of really exciting possibilities. Becoming a Business Member in 2014 was the start of what would become an epic journey for both parties. 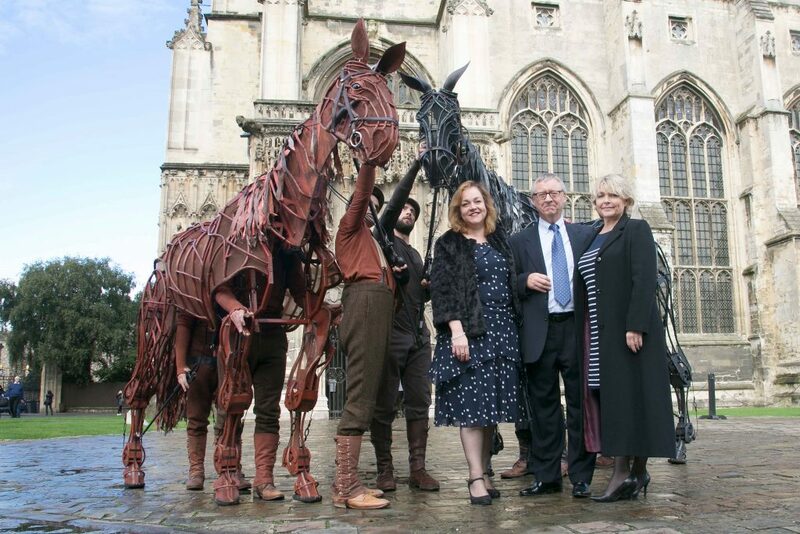 Last year the Port of Dover became sponsors of War Horse at The Marlowe, a project which inspires us in a number of ways, and especially in the lead up to 2018 and 100 years since Armistice. Dover’s Marine Railway (closed as a station since the 1980s) was a departure point for British troops from 1914 and later became the primary site for returning injured soldiers and the famous Edith Cavell hospital train. The Unknown Warrior arrived at the station in 1920. Justine Wingate (left) and Alyson Hudson (right) with Theatre Director, Mark Everett and Topthorn. In November 2018, The Marlowe, Port of Dover, and a number of partner organisations will be staging a large-scale production over a week at The Dover Marine Railway. Watch this space. "The Port of Dover is delighted to be working with The Marlowe by sponsoring War Horse, a production which resonates with its heritage and role the Port played during WW1. We look forward to working with The Marlowe to create what promises to be an exciting and unique community event in 2018." If you’d like to chat to someone about current sponsorship opportunities, Sam Scott would love to hear from you.